It seems to be an ad that is serving me this. I just got it again after not having seen one for a couple of weeks. In the forums suddenly my browser is hijacked and redirected to a malware page telling me I need to “update my Java” and trying to get me to click/download and run a file. This just happened to me. I’m using Firefox. Oh God, what have I been doing? 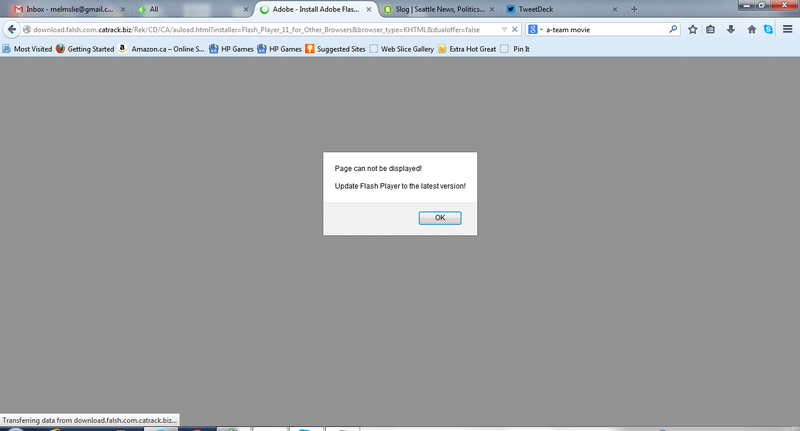 I keep getting a popup to update Java, but it doesn’t take me to a web page. If I click on it, it just starts and asks me to allow a Java update. And I have. Multiple times. From reading Paul’s comments in today’s Lounge, I think I’m OK, mine is totally different. For some reason, Java wants me to update quite frequently. There are genuine Java update requirements; this thing isn’t one. It’s frequently cited as a malware distributor. (That is, the doivndj.com site). I don’t know if something in Chrome is responsible for this, but it ONLY happens at BTF, it’s never happened at another website. Make sure you do a malware and virus scan on your computer. Someone reported a similar problem to me a while back and after going back and forth he found that the issues was not related to the site. Yes, I’ve done this; it’s done daily, in fact. (I have actually installed new software as well; I was concerned that I might be missing something). The problem continues to recur. It was recurring again today, and earlier this week. Now the popups just start downloading the malware automatically. I should clarify; they are not popups as such, they are straight redirects. I really do believe that they are coming from ads hosted here. I’ve been getting it a lot too. On my home computer only, not my work computer. So it certainly could be partially related to malware issues on my own machine… but it never happens on any other site. Sometimes it’s so insistent that I literally can’t stay on the page here; it will keep redirecting me to the update page. Then the only thing I can do is to close the tab entirely and come back later. The site only uses two very reputable ad agencies to supply advertisements so it’s unlikely that the redirects originate from the site. To rule out the possibility, it would be helpful if anyone having this issue would post screenshots (or phone camera pictures) to the thread so I can forward the info to the ad agencies themselves. I’ll see what I can do. Thanks. One thing to note here is that each of the four people I know of who have reported this problem are located in Canada. I can confirm that I am located in Canada.